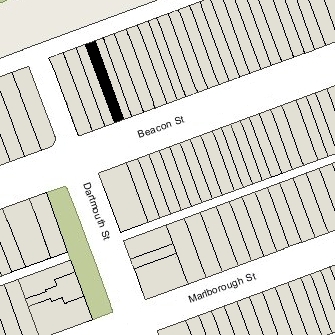 228 Beacon is located on the north side of Beacon, between Clarendon and Dartmouth, with 226 Beacon to the east and 230 Beacon to the west. 228 Beacon was built ca. 1864 for dry goods merchant and cotton broker George Phineas Upham, one of two contiguous houses (226-228 Beacon) designed as a symmetrical pair. He and his wife, Sarah (Sprague) Upham, lived at 122 Beacon. Click here for an index to the deeds for 228 Beacon. By 1865, 228 Beacon was the home of Freeman Cobb and his wife, Annette (Cobb) Cobb. They previously had lived at 29 Mt. Vernon. Freeman Cobb is credited as one of the founders of the express/stagecoach business in Australia, where he had gone in the mid-1850s on behalf of the Adams Express Company. He subsequently founded his own stagecoach line in Australia, but soon returned to the United States. After an unsuccessful foray into banking, he re-joined Adams Express as manager of the Boston agency. The Cobbs also maintained a home in Brewster and In 1864-1865, while he was living at 228 Beacon, he was a State Senator for Barnstable County. In May of 1866, Freeman Cobb purchased and subsequently moved to 224 Beacon. In August of 1866, 228 Beacon became the home of Harriet (Dana) Turner, the widow of dry goods merchant John Newton Turner, and their two surviving children, Nathaniel Dana Turner, a boot and shoe dealer, and Helen Turner. The house was purchased on August 2, 1866, by Harriet Turner and N. Dana Turner as trustees under John N. Turner’s will. They previously had lived at 16 Pemberton Square. Harriet Turner died in November of 1878. Nathaniel Turner and Helen Turner continued to live at 228 Beacon. They also maintained a home in Falmouth. On May 15, 1891, N. Dana Turner, as surviving trustee under his father’s will, transferred 228 Beacon to his sister, Helen. Nathaniel Dana Turner died in March of 1893 and Helen Turner moved soon thereafter. The house was not listed in the 1894 Blue Book. On July 6, 1893, 228 Beacon was acquired from Helen Turner by Helen Louise Colburn and her sister, Alice Draper Colburn, the daughters of boot and shoe manufacturer Charles Henry Colburn and Frances Eudora (Draper) Colburn. The family made it their Boston home and also maintained a home in Hopedale. They previously had lived at 318 Commonwealth and in Hopedale. Charles Colburn died in July of 1896, and Helen Colburn died in November of 1898. Frances Colburn and her daughter, Alice, moved at about that time, probably to Hopedale. By 1899, 228 Beacon was the home of Mrs. Caroline Miller (Bigelow) Amory, wife of George Washington Amory, and their daughters, Caroline and Constance Amory. They previously had lived at the Hotel Victoria at 273 Dartmouth and before that at 8 Gloucester. George Amory lived separately at 10 Charles Street and in Bourne. He was a cotton buyer. George Amory died in September of 1899; Caroline Amory and their daughters moved to 361 Beacon by 1900. 228 Beacon was not listed in the 1900 Blue Book. On September 17, 1900, 228 Beacon was purchased from Alice D. Colburn and Frances Colburn (as the heir of her daughter, Helen) by Georgianna Olivia (Davis) Taylor, the wife of Boston Globe published Charles Henry Taylor. They lived next door, at 230 Beacon. 228 Beacon became the home of the Taylors’ son and daughter-in-law, John Irving Taylor and Helen (Burnap) Taylor. They previously had lived in Brookline. At the time they lived at 228 Beacon, John Irving Taylor was affiliated with the Boston Globe. Later, from 1903 to 1911, he owned the American League baseball team in Boston and is credited with choosing the name “Red Sox.” He built Fenway Park, which opened in April of 1912. By the 1901-1902 winter season, the Taylors were living elsewhere and 228 Beacon was the home of Richard Hathaway Morgan, a retired manufacturer from New Bedford, and his wife, Joanna White (Davis) Morgan. They had lived at 237 Beacon in 1900. They also maintained a home in Plymouth. 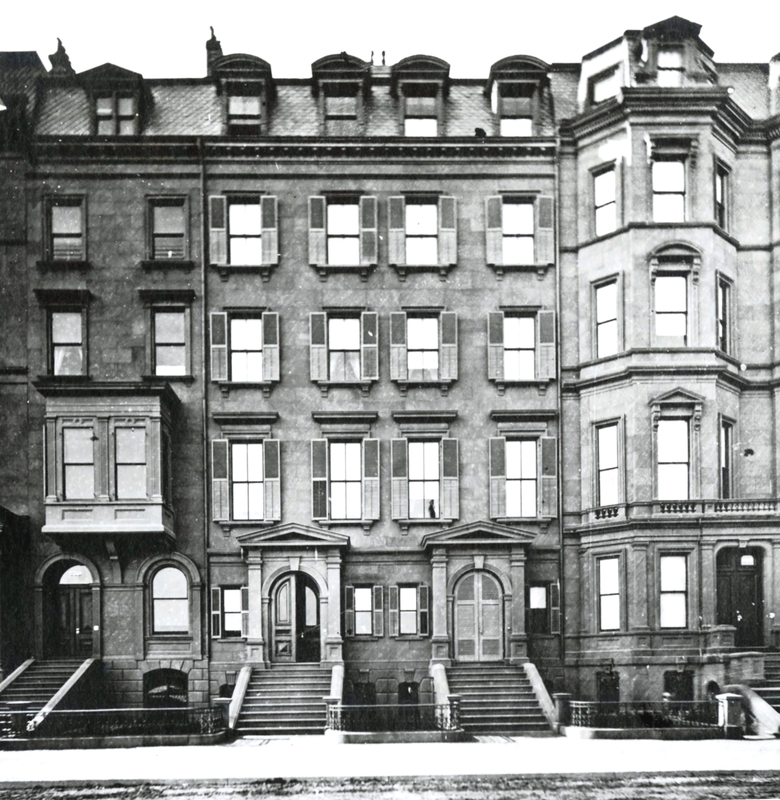 They continued to live at 228 Beacon during the 1902-1903 winter season. John and Helen Taylor resumed living at 228 Beacon for the 1903-1904 winter season, but separated soon thereafter, and by the 1904-1905 winter season, John Taylor was living with his parents at 332 Beacon, where they had moved in mid-1904. On March 31, 1904, 228 Beacon was acquired from Georgianna Taylor by the estate of Waldo Ogden Ross, who had been a thread and twine manufacturer, as the home of his widow, Ellen (Haven) Ross. She previously had lived at 1 Chestnut. She also maintained a home in Beverly Farms. By the 1915-1916 winter season, she had been joined at 228 Beacon by her sister, Mary E. Haven. Mary Haven died in August of 1931, Ellen Ross continued to live at 228 Beacon until her death in March of 1938. On March 3, 1939, 228 Beacon was acquired from Waldo O. Ross’s estate by Bentley Wirt Warren and his wife, Ellen Hatch (Windom) Warren. They previously had lived at 185 Beacon. They also maintained a home in Williamstown, Massachusetts. Bentley Warren was an attorney in Boston. From 1925 to 1927, he served as president of the “Sentinals of the Republic,” an ultra-conservative organization formed to protect states’ rights, oppose government regulation of business, and fight international communism. In December of 1938, he applied for (and subsequently received) permission to remodel the house, including lowering the front entrance to street level. The remodeling was designed by architects Putnam and Cox. Ellen Warren died in November of 1941. 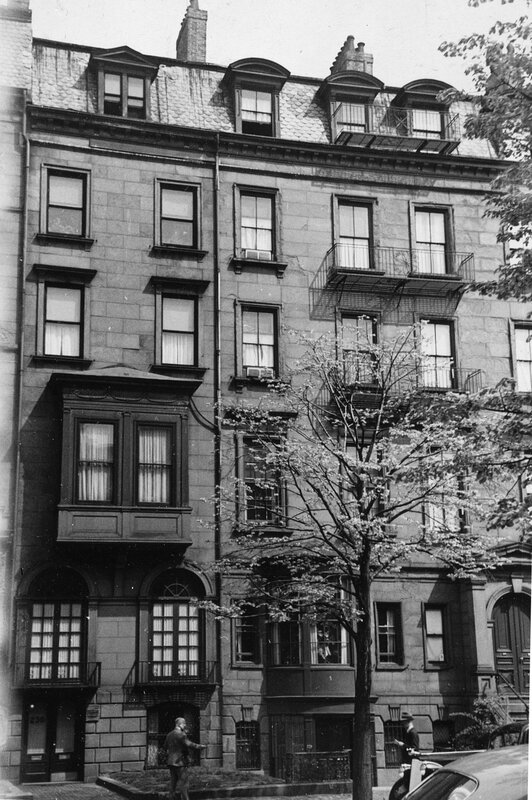 Bentley Warren continued to live at 228 Beacon until his death in February of 1947. After his death, the house remained in the Warren family, the home of Bentley Warren, Jr., and his aunt, Florence Bronson Windom. They continued to live there until about 1958. By 1959 it was shown as vacant in the City Directory. In October of 1959, Bentley Warren, Jr., applied for (and subsequently received) permission to convert the property from a single-family dwelling to five unit dwelling and medical office. In January of 1960, he amended the application to increase number of units to six. On May 23, 1962, 228 Beacon was acquired from Bentley Warren, Jr., by Donald Arthur Flaherty. He was a real estate manager and former television news editor. He and his wife, Marion Louise (Taylor) Flaherty, lived in one of the apartments. They previously had lived in an apartment at 167 Commonwealth. His father, William Flaherty, lived with them; he previously had lived in Reading. On May 10, 1963, 228 Beacon was acquired from Donald Flaherty by real estate dealer Edward L. Britt and his wife, Ann M. (Lynch) Britt. 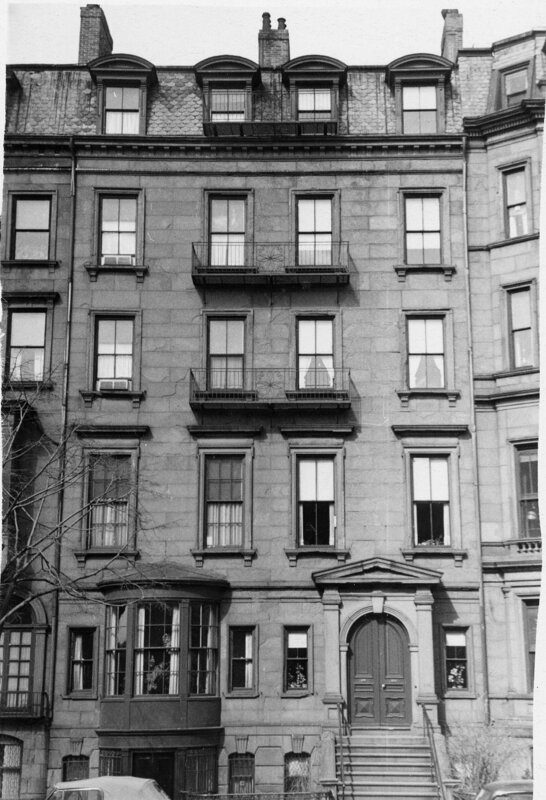 The Flahertys continued to live in an apartment at 228 Beacon until 1970, when they purchased and moved to an apartment at 316 Beacon. In January of 1964. the Britts acquired 230 Beacon, and in February of 1964, they acquired 232 Beacon. 228-230-232 Beacon changed hands and was acquired on November 21, 1968, by Snelling Robinson Brainard and David V. Harkins, trustees of the Beacon Street Improvement Trust. They also held an option to purchase 234 Beacon and in April of 1969 acquired an option to purchase 226 Beacon.